Destination Big Bear is the highest rated provider of Big Bear cabin rentals in Southern California. Our experts are here to provide the highest quality cabin rental for all types including large families, luxury, large events or just a small cozy getaway. We have been in the rental business for over 10 years and have provided thousands of people the comfort of finding the right cabin. We have hundreds of properties for clients to choose from with all types of amenities. We have a staff onsite to provide any answers to all your questions including pricing as well as special accommodations that may be required for your stay here in Big Bear. From breathtaking relaxation to gorgeous Big Bear cabins to all the things to explore, Big Bear is the place to reconnect. We understand it’s the memories that bring our guests back to this amazing area each season. The more detailed vacation vision you have, the more we can help create that experience! Pick from over 350 homes and luxury Big Bear cabins ranging from rustic and simple to luxuriously grand. With such a great selection of locations, amenities, decor and pricing, we have the perfect accommodations for you, your family, friends and groups. You can browse properties online or let us help! For this mountain playground, we can coordinate a package to include zip-lining, bike or kayak rentals, lift tickets and equipment. Spending some time in your Big Bear cabin after a day full of activities? Unwind by the fire, then just relax under the amazing view of the stars. Visit our blog to find out more. It’s about reconnecting—to nature, to your friends, your loved ones. Explore the Big Bear winter wilderness on snowshoes, go on a guided off-road tour, take your pick and carve the slopes at Snow Summit or Bear Mountain, or go really big and do them both. There really is no better winter destination in So Cal. We’re really close to several major airports, and just a few hours’ drive from Los Angeles. And yet up here, in the altitude, with the peaks all glistening under snow caps and the crisp air filling your lungs, LA might be the last thing on your mind. If you want rustic, but you don’t want to sacrifice sophistication, we understand that; check out our Big Bear Lake cabins. We’ve cultivated a list of luxury homes for your choosing. Reconnect with style. There is no roughing it in our upscale homes, built in premiere locations around Big Bear. From lakeside to slopeside, the choice is yours. 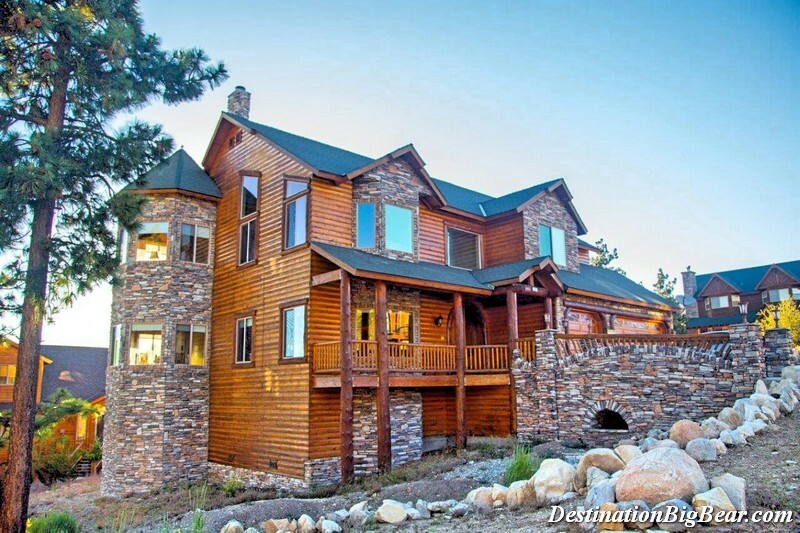 Make yourself at home on the mountain and really get to know life in Big Bear Lake. Need assistance finding the perfect fit Big Bear Cabins and setting up your itinerary? Our friendly and knowledgeable booking agents are standing by 24/7. We love for our guests to be involved in our social media and online review forums. Please check us out and provide your feedback!